A woman was pushed and kicked to the floor in what police are treating as a racially aggravated assault in Batley. 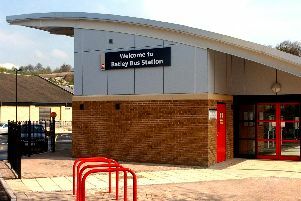 Officers today appealed for information after the attack happened at around 6.45am near to the tunnel of the Mill Village Shopping Complex on Lady Ann Road in Batley last month. Police have not said which day it happened. A West Yorkshire Police spokesperson said: "The victim, a 32-year-old female was walking along the road where she was approached by three males. "The males verbally abused her and then pushed and kicked her and she fell to the floor, sustaining a serious facial injury. "The suspects are described as Asian males." Detective Inspector Mark Atkinson, of Kirklees CID, said: “This was a terrible incident and one which left the victim with very serious injuries. We have been in regular contact with her to enable us to investigate the incident fully. Anyone with any information or witnessed is asked to call police via 101 quoting crime reference 13170506171 or alternatively information can be passed to Crimestoppers anonymously on 0800 555 111.